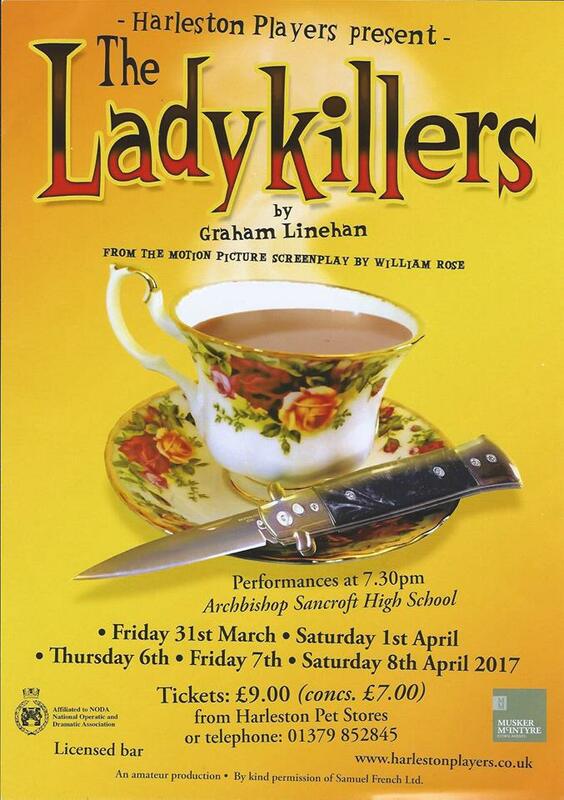 Congratulations to the cast and crew of The Ladykillers, which won the 2017 ‘Best Play’ award (District 6, Eastern Region) from the National Operatic and Dramatic Association (NODA). 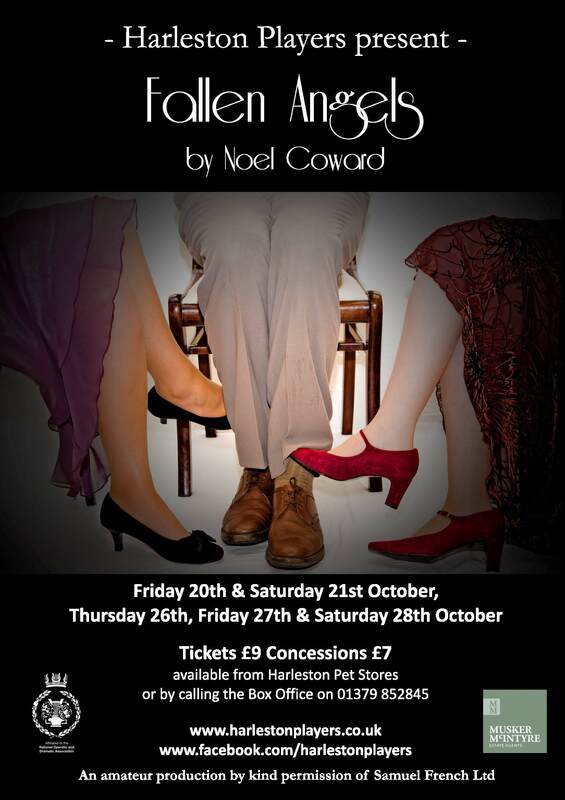 The award was received on behalf of Harleston Players by director Sara Curtis and producer Helen Farrar at the annual awards ceremony in St Ives, Cambridgeshire. We will be holding auditions for our autumn production, Blackadder Goes Forth, on May 21st and 24th, 7.30pm at Jays Green. For more information please contact Dawn Briggs – dawnieb48@aol.com. 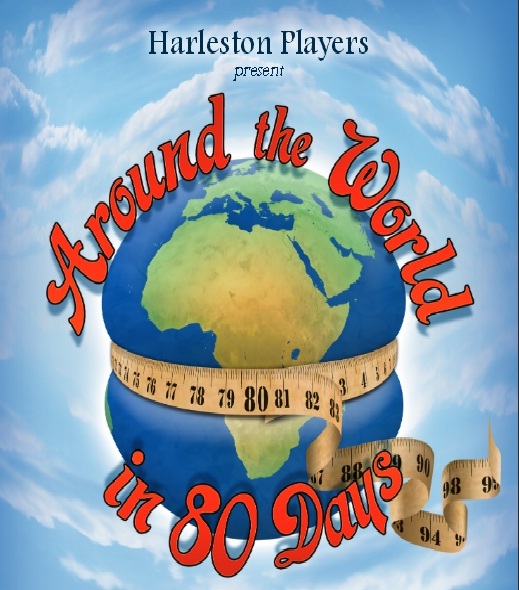 Tickets for Around the World in 80 Days are now on sale at Harleston Pet Stores, priced £9 (£7 concessions), and by phoning 01379 852845. 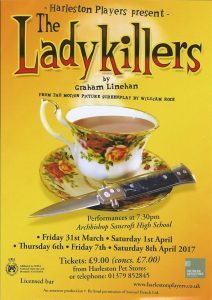 The performances are at Archbishop Sancroft High School on Friday 26th January (7.30pm), Saturday 27th January (2.30pm and 7.30pm), Friday 2nd February (7.30pm) and Saturday 3rd February (2.30pm and 7.30pm). The first auditions for Harleston Players’ January 2018 show ‘Around the World in 80 Days’ will take place on Tuesday 26 September at Jays Green, Harleston. 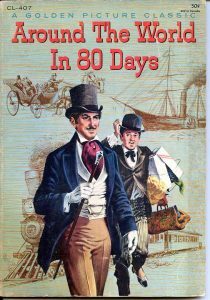 The play, adapted from the Jules Verne book by local playwright Eileen Ryan, tells the story of Phileas Fogg and his crazy bet to travel around the world in just 80 days. Breaking the orderly routine of his daily life, the coolheaded Englishman and his hot-blooded French manservant Passepartout immediately set off for Dover. They must overcome storms, kidnappings, natural disasters, Sioux attacks and Inspector Fix of Scotland Yard – who believes Fogg has robbed the Bank of England – to win this extraordinary wager. In a race against time, Phileas Fogg can’t afford to lose his cool. 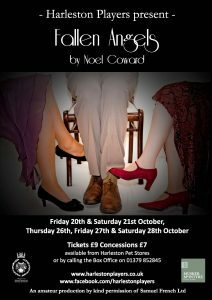 This production has been kindly supported by Norfolk County Council Arts Project Fund.